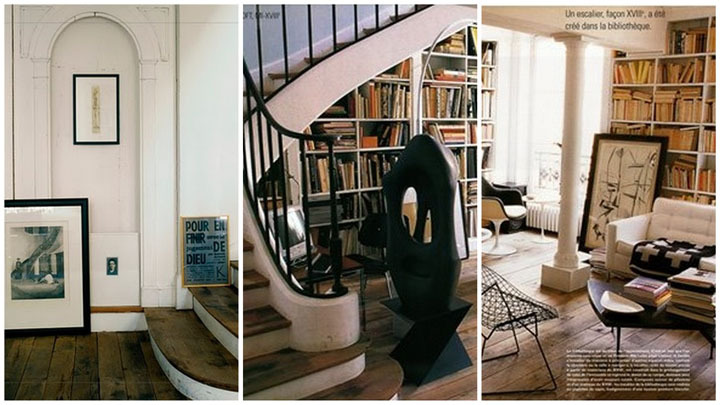 French designer Frederic Mechiche's flat in the Marais area of Paris...le sigh, I love it. 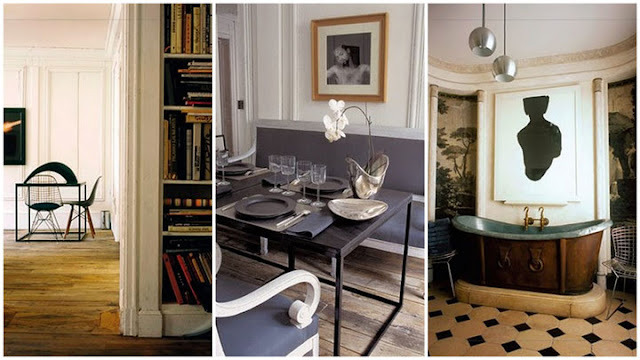 I bet the most gorgeous Christmas parties are hosted here...I can only imagine how beautiful this apartment looks when decorated for the holidays in the same vintage/modern style. I imagine presents wrapped in kraft paper with linen ribbons accented with a painted gold pine cone, and a bushy Christmas tree ornamented with mercury glass, twinkling lights, and vintage decorations. this is one mans flat?! What a lucky lucky person. I adore his decorating style. 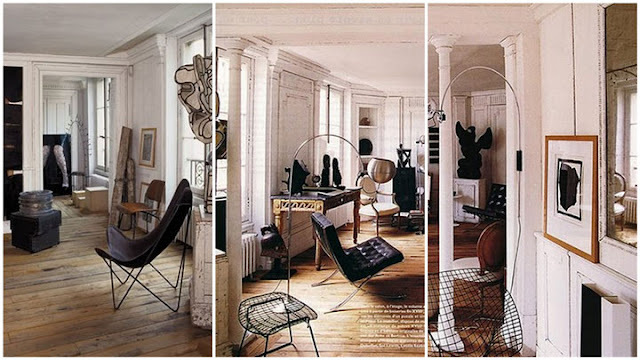 Well, if I didn't have apartment envy before... I definitely do now! Wow, love his style! What a gorgeous place. LOVING YOUR BLOG SO MUCH!! Thank you for checking mine earlier. Oh wow! I love his space. The things I would do to live there... haha! Bathtub...check. Living room ...check. 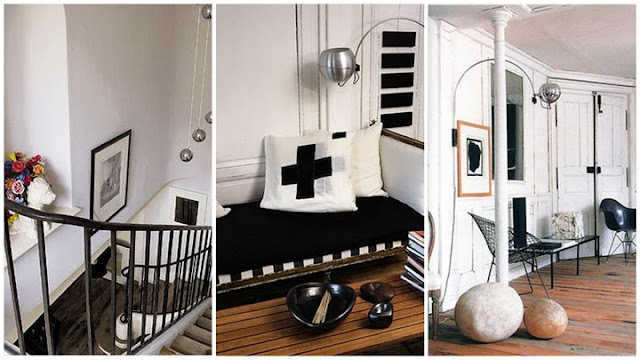 Style plus...check check...Yes- I'll be moving in....check please! Wow, this place is amazing! I love the mix of the mid-century stuff like the Eames wire & fiberglass chairs with more traditional pieces and background with the columns. Very cool!